The Year-End Sale is back with great discounts! 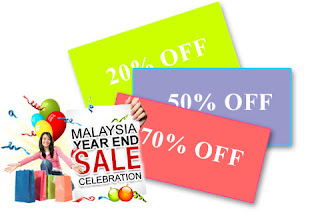 It's the season eagerly awaited by Malaysians and visitors alike for the unbelievable discounts, bargains and promotions. Load your shopping carts with gifts, souvenirs, branded items and everything else you need for the year-end festive season! Kuala Lumpur shopping is a must for all visitors. If you are planning to visit Malaysia for shopping purpose, try to plan your visit to coincide with the Malaysia GP Sale, mid-year Malaysia Mega Sale Carnival and year-end Malaysia Year End Sale. 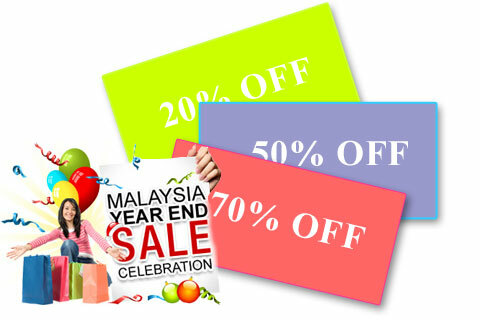 Organised by Shopping Malaysia Secretariat, Tourism Malaysia, this long awaited Year End Mega Sale has just begun. Lets get ready to shop till you drop....or maybe at least till you burn a hole in your pocket. So when are you flying to Malaysia?